Check out our interview with Eileen, On The Scene! Lisa Marfisi, www.lisamarfisi.com and check out Lisa’s very helpful blog post on Beyond The Brochure. Priya Nambiar, Nambiar Advising, www.nambiaradvising.com, email: priya@nambiaradvising.com or ph: 323-630-7182. Priya is the former Associate Director of Admissions for middle and upper school at Brentwood School. Read our Q&A with Priya here. Michelle Nitka, author of Coping With Preschool Panic. I know Michelle and she’s THE preschool expert! Devra Weltman Harris, Parent Educator and Education Consultant (specializing in L.A. and families who are relocating to L.A). 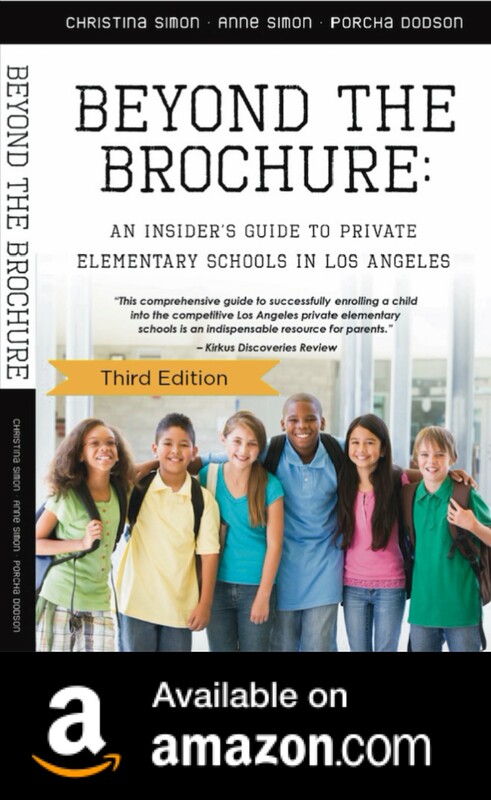 Contact 323-664-4267 or email: dweltman@sbcglobal.net or www.educationconsultantlosangeles.com. To see our Q and A interview with Devra Weltman, click HERE. Christine Sharma, Firefly Educational Consulting. Specializes in the 805 and 818 area codes. See our interview with Christine. The Independent School Alliance for Minority Affairs of Southern California helps minority families with all aspects of the application process.